For this reason, I always strongly encourage product development teams to work along with marketing (and even customer support) to make sure the product they are building is something people might actually want. It sounds like an obvious rule of product or business design, but all too often companies build out a product that they themselves might want, or find interesting … but has very little value for others. The general concept of this is often referred to as “product/market fit” and is defined by Wikipedia as simply the degree to which a product satisfies a strong market demand. Does the product you’re offering satisfy a strong market demand? Who are your potential customers and how does what you’re offering solve a problem they have? Now this doesn’t mean that you can’t offer a product that has no obvious market. It wasn’t due to an overwhelming demand to have an iPod that makes phone calls and can possibly replace your laptop that Steve Jobs and Apple invented the iPhone. There’s room for invention out there – but again it’s invention in a way that solves a problem for people (even if they don’t even know they have it yet). But beyond the question of if your product is a potential solution to peoples’ problems, you also need to make sure that it’s doing so in a way that works. This means it has to be usable, affordable … and a better solution than what already exists. Perhaps one of the best examples in recent history of a brilliant product that had very little product/market fit is the Segway Human Transporter. 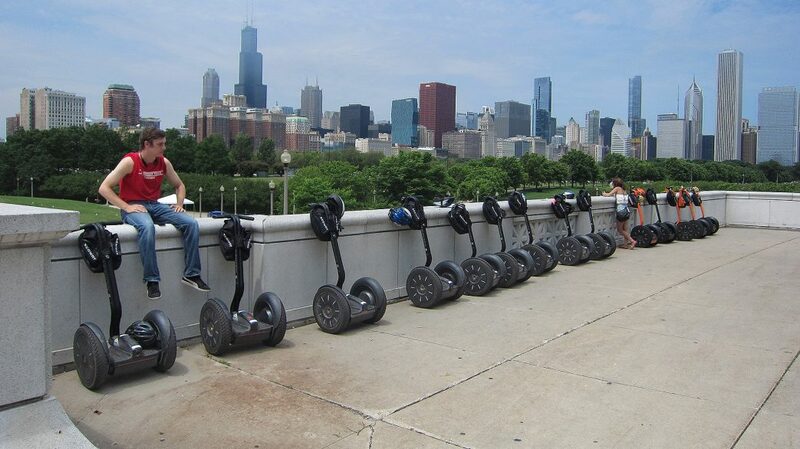 In the time leading up to the announcement of the Segway, rumors spread everywhere that this was going to be an invention that changed the world. Whatever Dean Kamen’s “IT” was, it was going to be revolutionary. Press swarmed around the excitement, and without any sort of huge marketing campaign, this new product enjoyed a tremendous amount of press and free marketing. But then it was announced … and people were like “why?” Here we had a $12,000 product that replaced walking (which in itself very few people had announced major issues with), but aside from cost and that question of “why” were even bigger questions that hadn’t even been discussed – in particular, the question as to if it would even work. Of course from a technical standpoint the Segway worked. It was an engineering marvel and did everything it promised. Except it had nowhere to go. There was no infrastructure in place to even handle these new “vehicles” and soon cities were in fights as to if these things were even legal to drive. So here was Segway, with it’s new “human transporter” that 1.) cost a lot of money, 2.) couldn’t replace a car, 3.) wasn’t filling a major need, 4.) was potentially illegal to use and 5.) made you look pretty goofy. As we all know, it was a complete failure. Whether or not the Segway Human Transporter could have succeeded in a different time is debatable – but one thing that’s for certain is that it would have been much more likely to succeed had it dealt with the questions of infrastructure ahead of time. As part of a product/market fit, it was dead on arrival, as due to laws and regulations, there wasn’t even the potential for a market to exist – at least not without major cultural and legal changes (which are pretty hard to force to happen). If we look back at the iPhone, we see a product that like the Segway had little perceived demand before it was announced – and especially little demand before it went into full-blown development. We still lived in a world where a phone made phone calls, your music player played music and you did your work on a computer. Legal downloadable music was still relatively new and social networks as we now know them didn’t even exist (aside from MySpace and Friendster, which let’s be honest were nothing more than personal web pages with a messenger system slapped on top). Still, Jobs and Apple saw opportunity there and they jumped on it. But what would have happened if they’d done it five years earlier? Chances are, the iPhone would have flopped. Not because consumers weren’t ready for it, but instead because the infrastructure wasn’t yet in place to support the market. High speed mobile was only coming around to 3G when the iPhone released – and the first iPhone didn’t even support 3G speeds. Without the iTunes store in place to fill your iPhones with music, they would have had little extra value over a standard phone … and the app store never could have come to be. So when you’re looking at this question of product/market fit you also need to ask, is the time right for this? Even if the market “wants” it – can you deliver on your promise? Even after you’ve done your research and spent years toiling away at producing the best possible product or solution, chances are you missed some things along the way. Product/market fit is rarely implemented perfectly – and that’s because until something exists in the real world you really don’t know what will happen. Predictive modeling and focus groups can only take us so far in determining if what we are offering is something that people will buy into. The world changes, and with that needs change … plus, people’s real behavior tends to be way weirder than we ever predict. This means that even if you have your timing right and the product perfected, there’s a very good chance you’re going to run into additional issues with product/market fit once you launch. And that’s okay – as long as you can learn from it. Going back to the iPhone, one of the biggest issues with the early version was that of speed. But Apple listened, the mobile infrastructure changed, and the second generation iPhone was released – with 3G support. It’s in this respect that Apple and many other modern success stories have excelled: they’ve embraced the need for change. Apple continually releases new versions of its hardware and operating systems, all with the goal of continuing to provide customers with the best possible experience. They took this same approach and applied it to their App Store, allowing developers to make changes to apps and push updates to users – primarily with the goal of giving their developers the opportunity to continually improve. How Do You Adapt to the Market? So how do you adapt to the market and make sure that your great idea really is a great idea? Simple: Act like a scientist. Start building hypotheses about your product. What do you expect it to do? How do you expect people to use it? Then start testing and observing. As much as I sometimes bemoan relying too heavily on data (at the risk of creativity), one area where data is absolutely essential is in determining just how people are using your product. What is data? Anything you can get your hands on that show your factual information. This includes digital analytics, customer CRM data, customer reviews, focus groups, surveys, user testing, customer support inquiries, social media posts and anything else you can use to get a better idea of what people are really doing with your product. Ask questions, look for sticking points. What are people engaging with and what aren’t they? Are they acting in the ways you hoped? If not, can you guide them to act in another way… do you even want them to act another way? One of my clients, Tido Music, is taking what I consider to be an excellent approach to this question of product/market fit and how real-life feedback can help create a product that truly does have a market. Coming from a similar background, I’d been aware of what Tido had planned and what their original vision was with their product … and a few months ago I started to get involved officially with what they were up to. What they’ve been doing has been amazing – and not purely from a technical standpoint (although that’s pretty amazing too). What they’ve been doing is actively working with real users to help guide the development of their app. Not so much as to alter their vision, but to make adjustments as to how their vision is implemented. Just the other week they had a group of real users in, so they could do some of that science I was talking about. And they took that information and have adjusted their roadmap accordingly. What you see now with Tido, and what you’ll continue to see in the future is something that is a constantly evolving product that fulfills a need, but is changing along with customer needs to ensure product/market fit. As you try to market and growth hack your way to success, first ask if you too are evolving. Are you adjusting and adapting to the market and its demands? Does your big idea have a true product/market fit? Without a focus on offering something people can actually benefit from, there’s little a marketer can do to save the day. They can position things and put spin on it as much as needed, but at the very most that will only buy you a little more time. Marketing is more than ads and spin. It’s about a brand promise and helping customers discover (and hopefully pay for) solutions to some kind of problem. When your product isn’t doing that, marketing can’t help you. The most important marketing tip ever is to offer something people actually want.